1.6 STYLE 5d AUTO 123 BHP 0% Deposit Plans Available even if you Have Poor/Bad Credit or Low Credit Score, APPLY NOW! Impressively sleek looks are combined with a light and airy interior to make the Hyundai iX20 a superb compact car. The model's small dimensions make it perfect for city driving and you'll have no problems navigating narrow streets or squeezing the Hyundai into tight parking spaces. Inside, the iX20 has enough space available for passengers and luggage, making it a practical pick too. 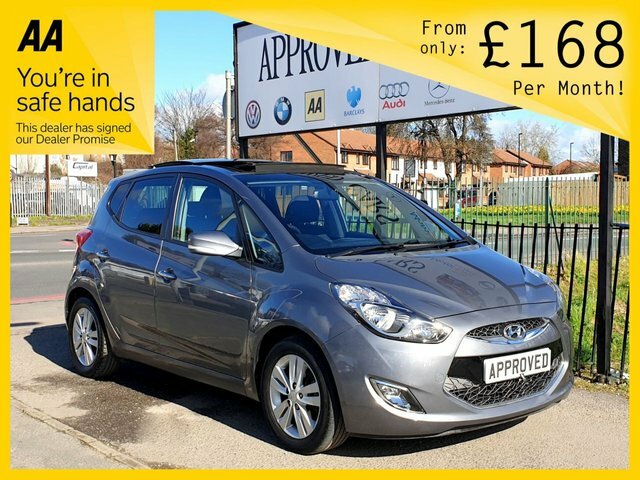 Come and discover the complete range of used Hyundai iX20 models for sale in Croydon by paying a visit to Approved Cars. You can also view our complete range of used cars here on the website before contacting a member of the team to book a test drive.